School Trustee for Wards 1 & 7 - Chair, Peel District School Board. First elected in 1988 Janet McDougald has been a trustee for 23 years, has served as chair for 14 years and was previously vice-chair for three years, 1994 to 1997. Trustees also made the decision to officially rename Hartsdale Avenue Public School in honour of McDougald, in a secret meeting, setting off a community firestorm of protest. 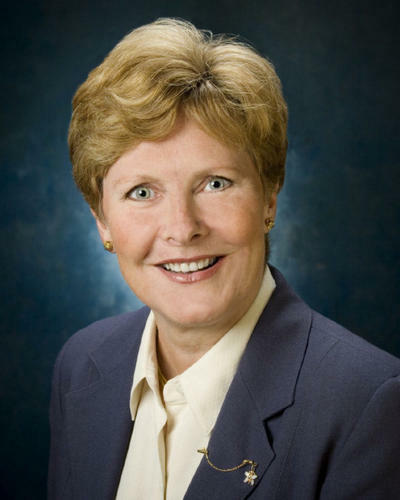 In the 2012 News Release regarding her being acclaimed as Chair of the PDSB, she is quoted as saying, "As a board, our ability to disagree civilly, work together well, reach consensus and always treat each other with respect makes us not only highly effective, but I believe a model for other boards. Why? Because underlying how we treat each other, how we work together, how we support each other is the key belief that what we do is not what is politically expedient, or what might make headlines, or even what is 'popular', but rather what we absolutely know to be best for the students of Peel." Sounds just like something Hazel McCallion would say and as the Mayor of Mississauga, Hazel McCallion, has not tried to unelect her, so she can be counted as one who can work with Hazel. Renaming of Hartsdale Public School to the Janet McDougald Public School community firestorm & the Lyndwood Public School Eco Crime & Cover-up in Mississauga. Formal Conflict of Interest & Bias Complaint against Peel District School Board Trustee & Chair of the Board - Janet McDougald.